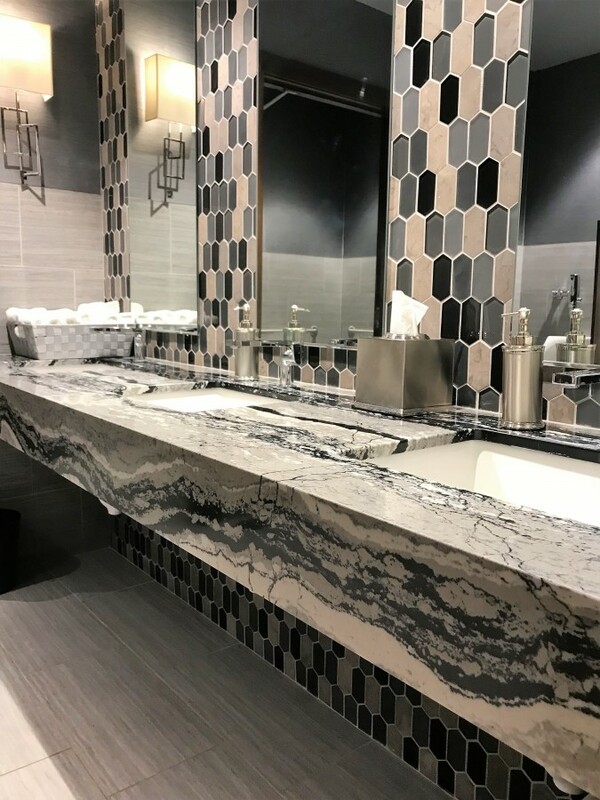 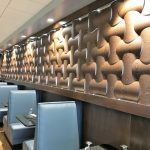 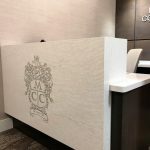 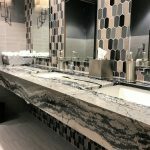 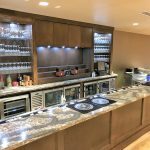 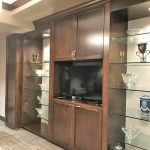 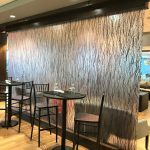 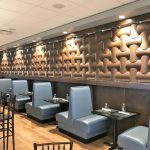 Custom Country Club Cabinetry - Creative Surfaces, Inc.
Oh what a summer 2018 it was….crazy, busy, fun, and exciting! 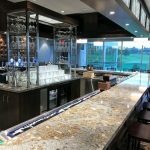 Minnehaha Country Club was awarded the Sanford International presented by Cambria Sr PGA event for five years. 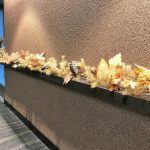 September 2018 would be the first year. 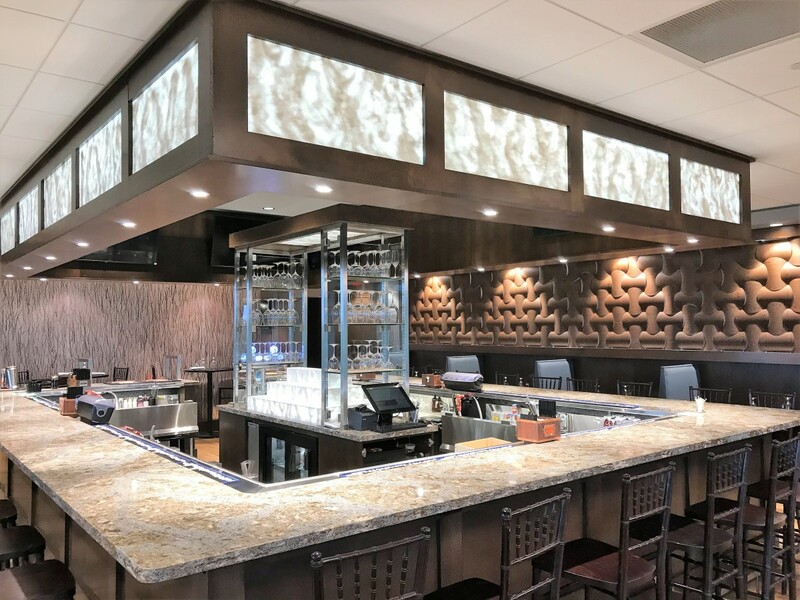 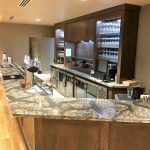 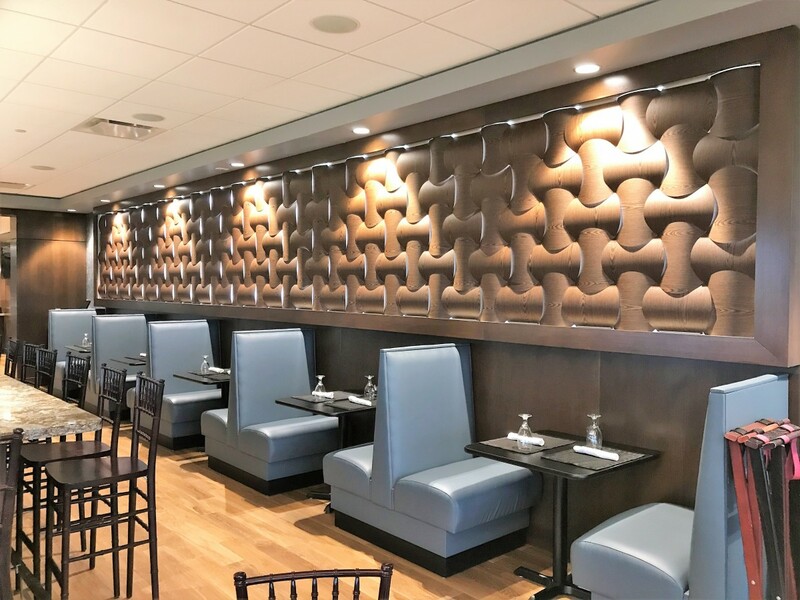 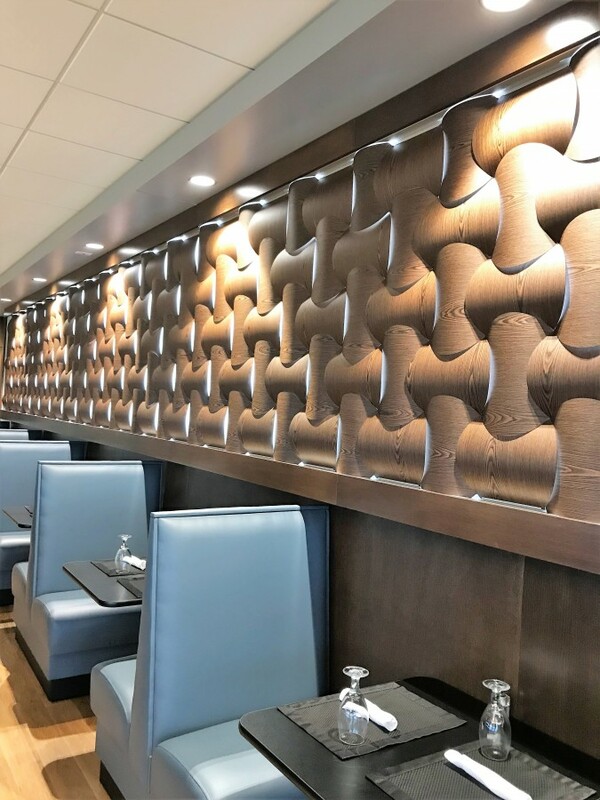 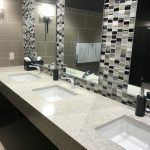 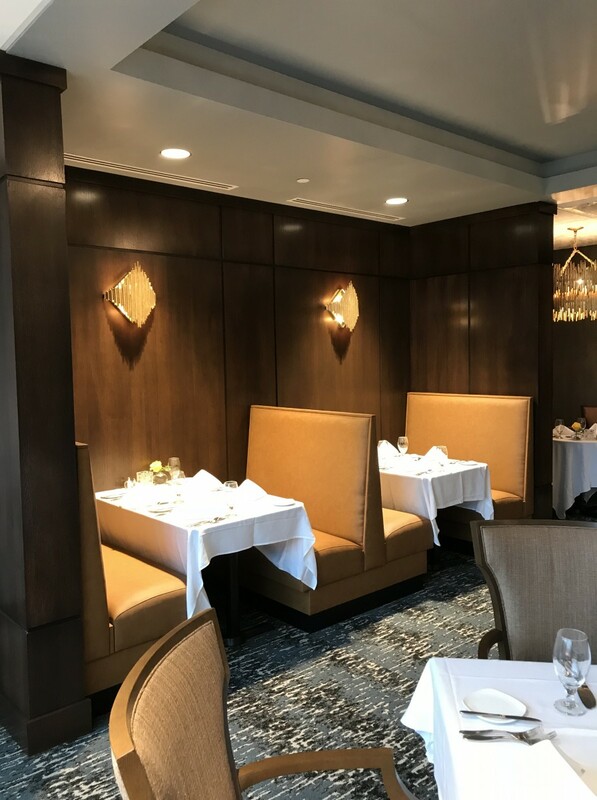 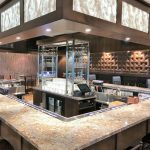 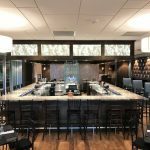 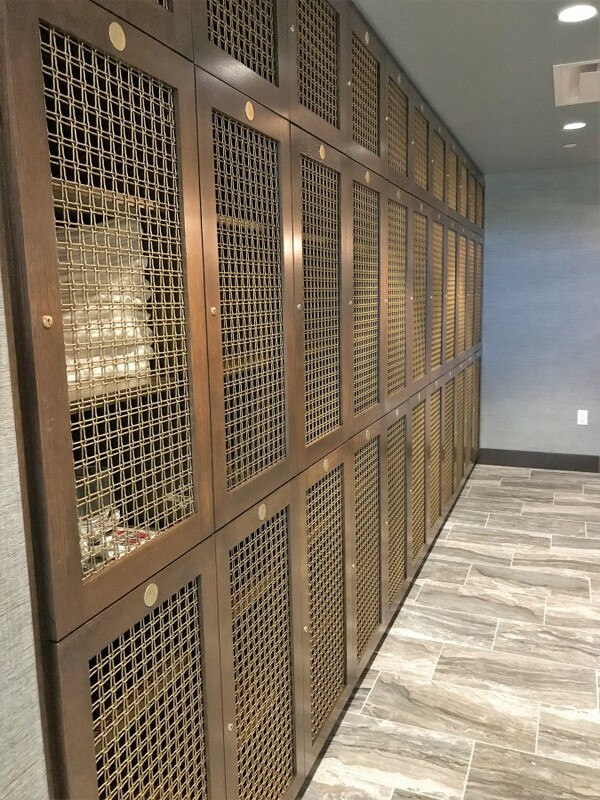 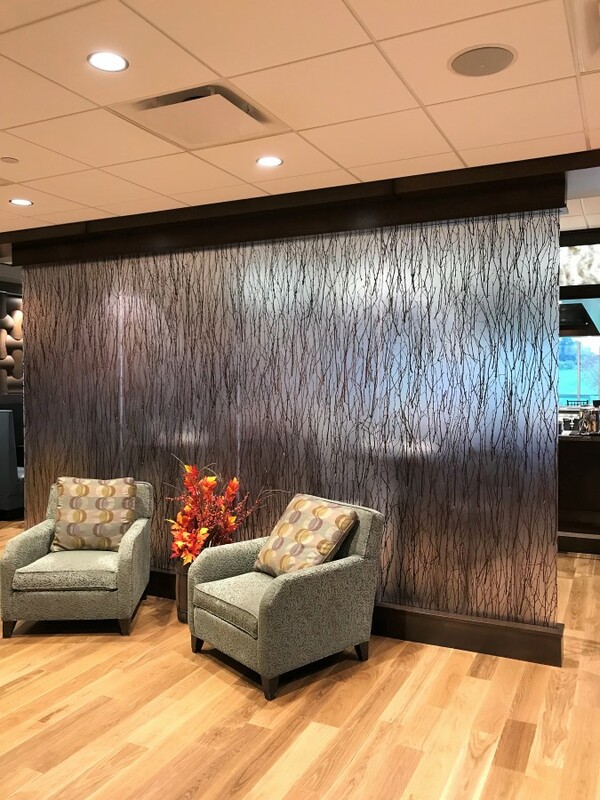 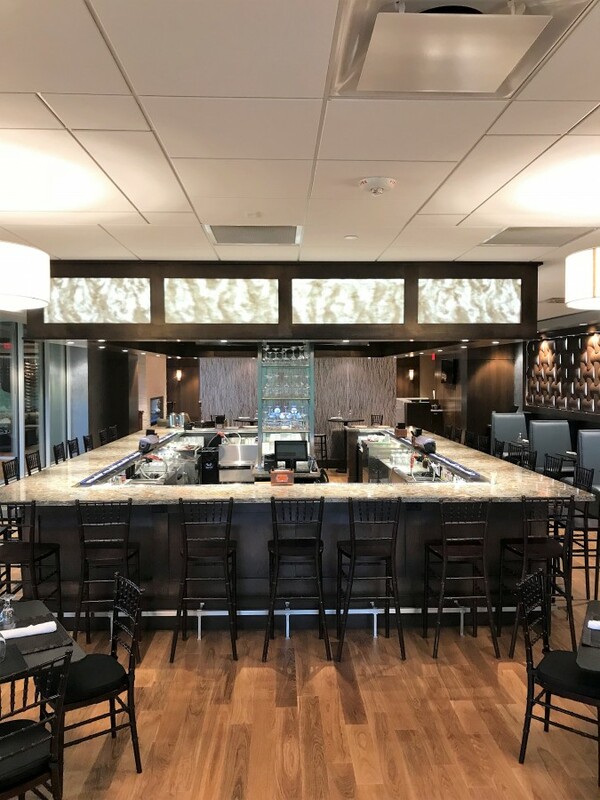 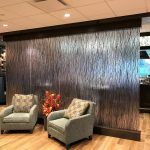 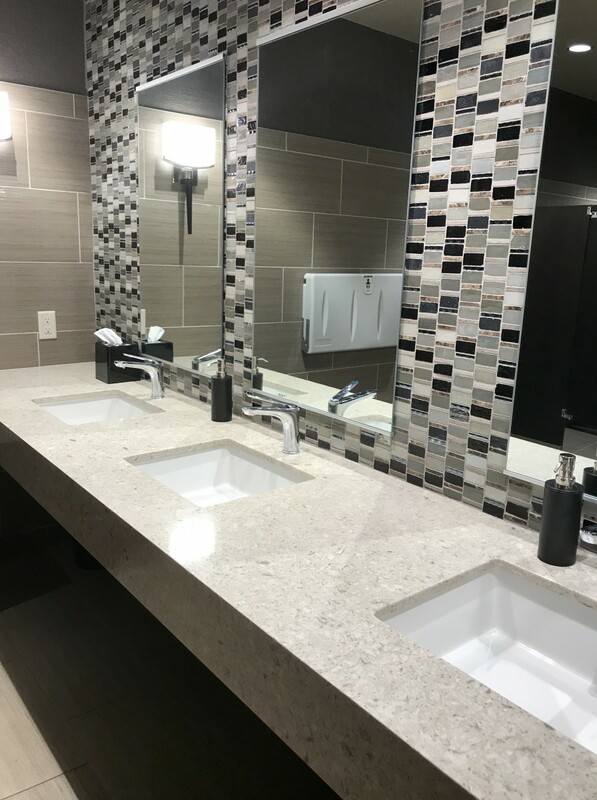 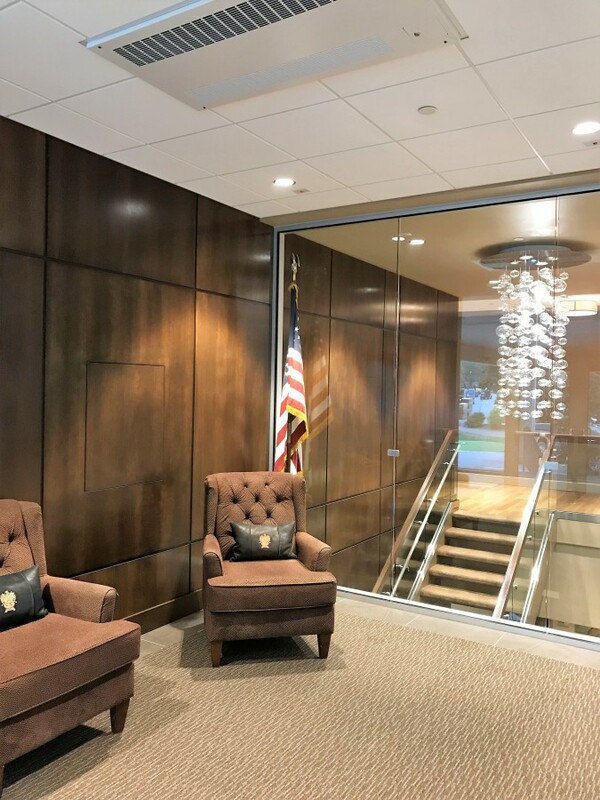 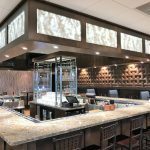 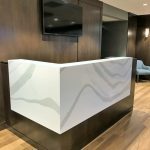 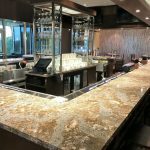 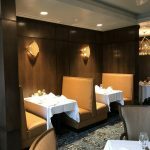 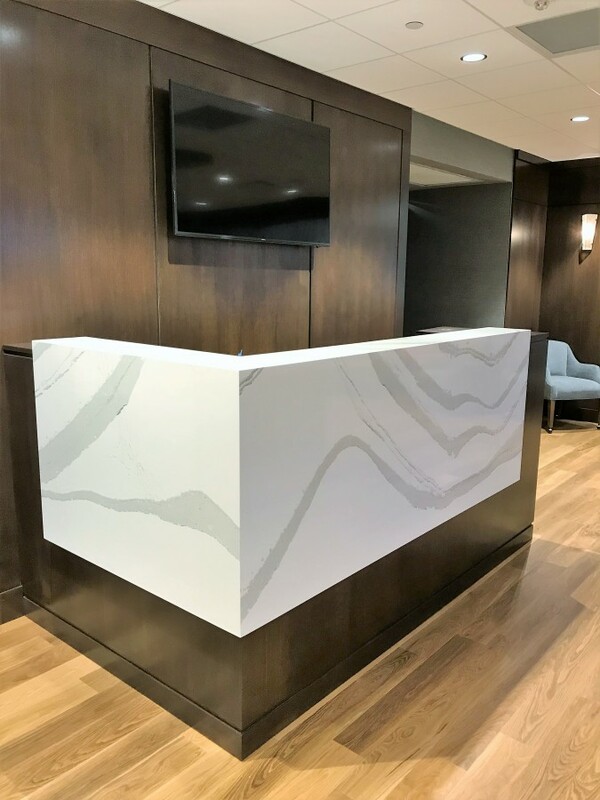 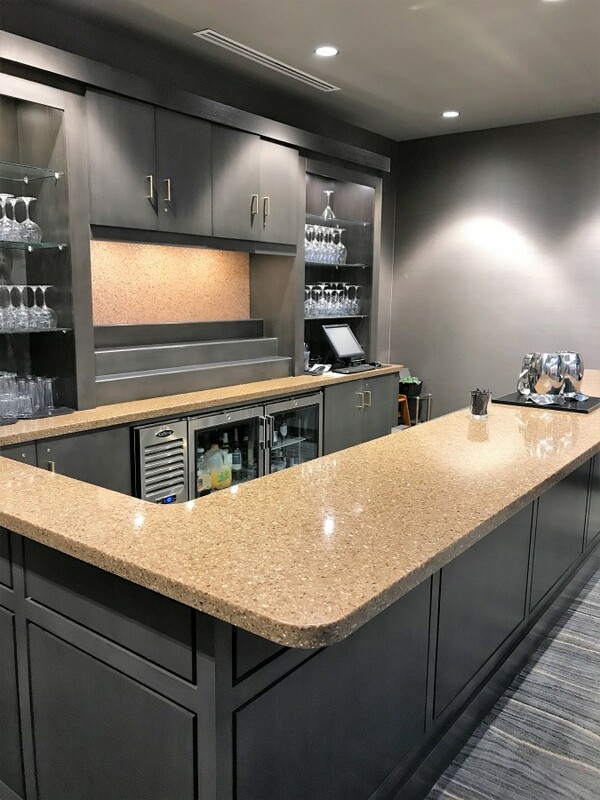 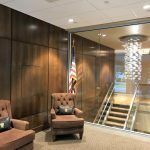 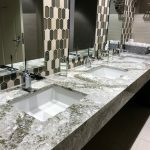 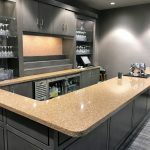 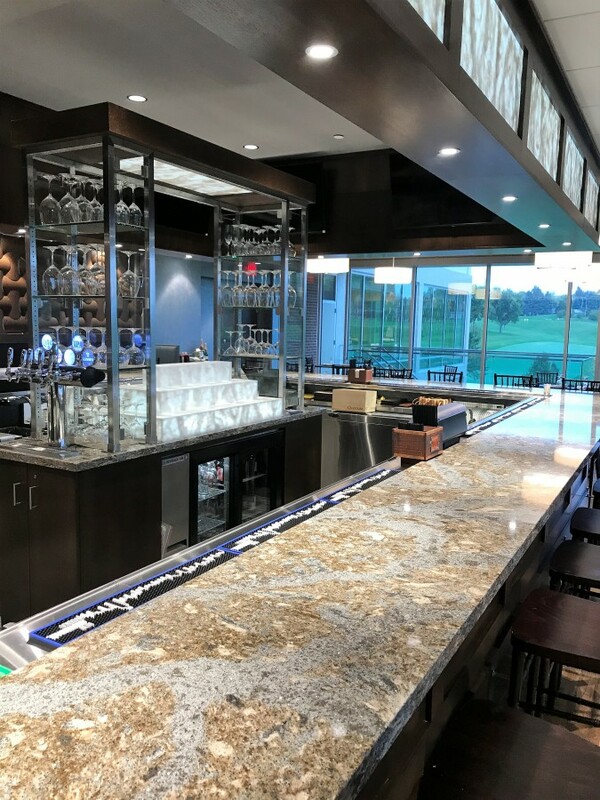 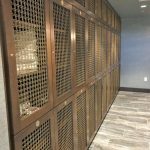 With that came a complete renovation of the Minnehaha Country Club clubhouse and we were honored they selected us for the custom country club cabinetry and Cambria countertops throughout. 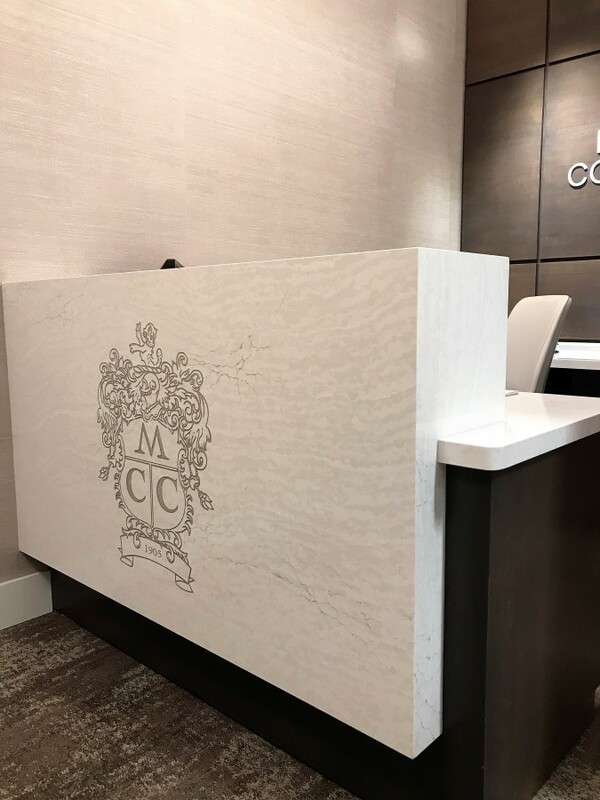 From the moment you walk into MCC to moment you leave – you are in awe of the beauty. 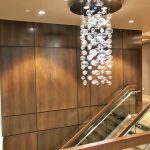 The finishes and elements used throughout the project are stunning. 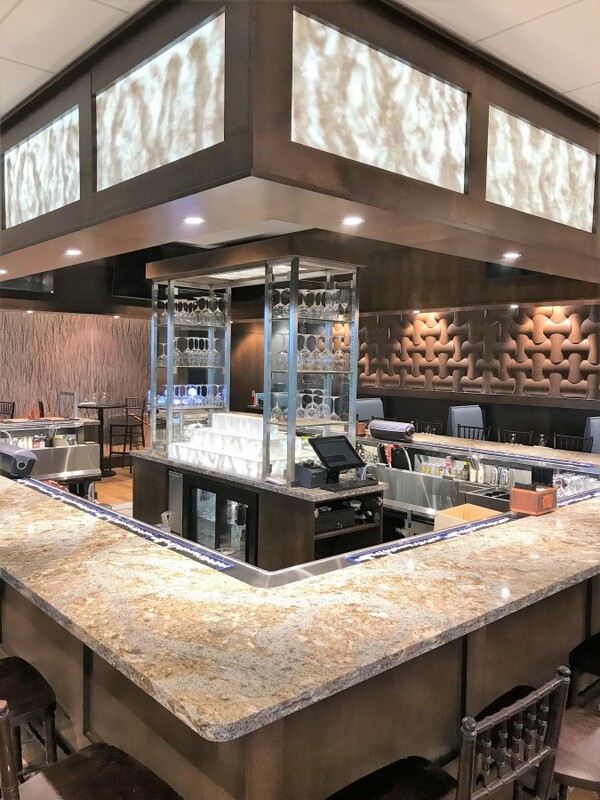 Makes you want to come back again and again. 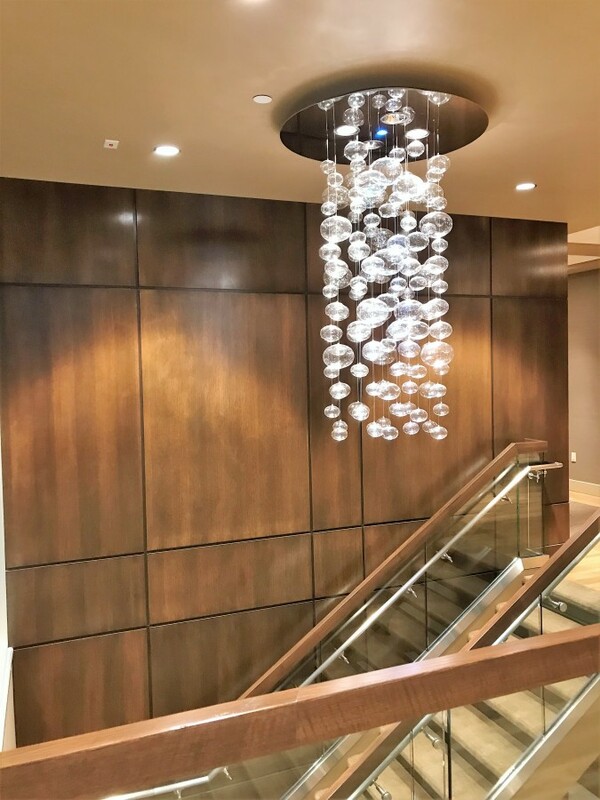 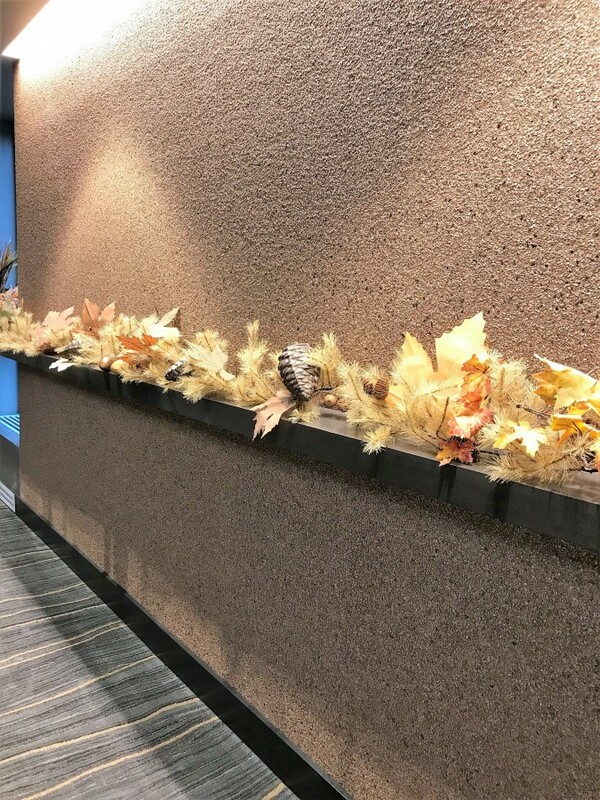 First, take a peek at the wall cladding at the main entrance, the staircase, hand rails, key caddy, private dining room (Minnehaha Prime) walls, hostess stand back wall, soffit surrounds, column wraps and window sills in the Windows Dining Room. 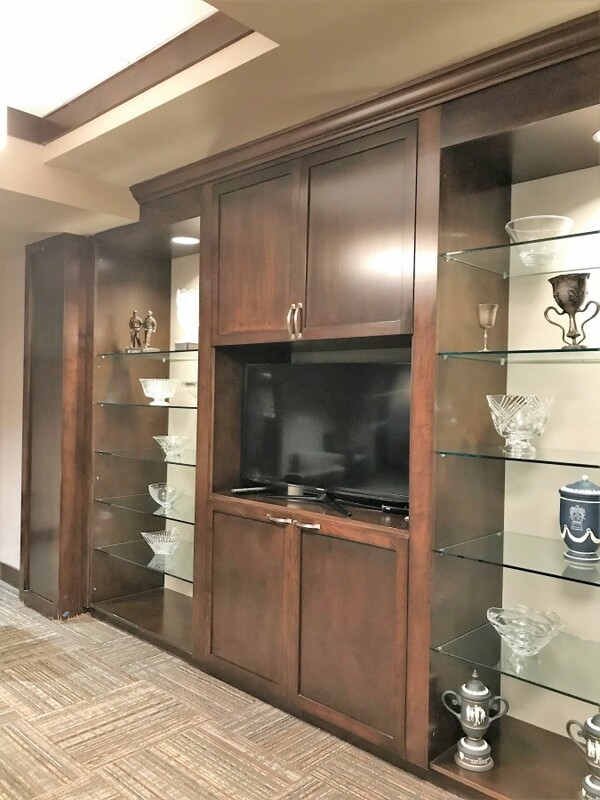 These areas/walls are all finished using rift cut white oak veneer stained Sherwin Williams Bernhardt 861 on Oak. 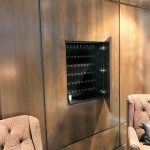 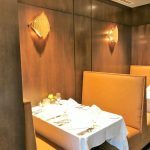 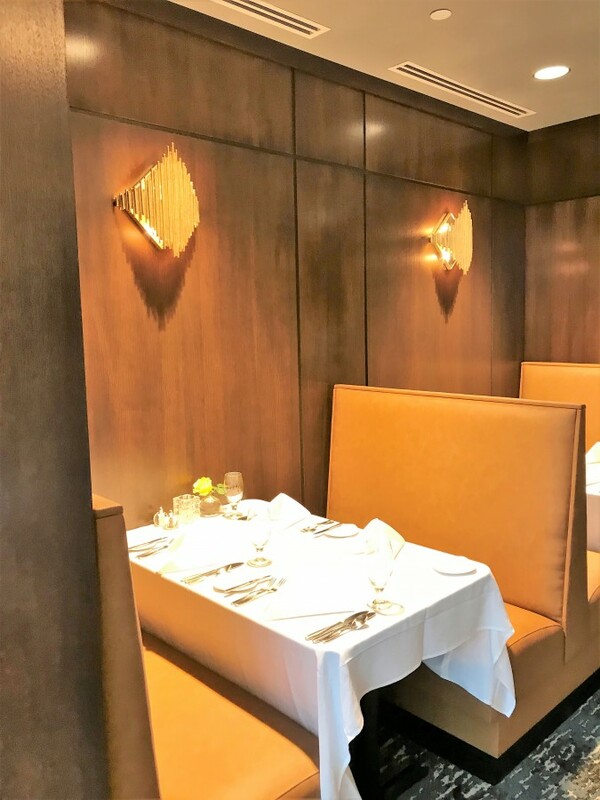 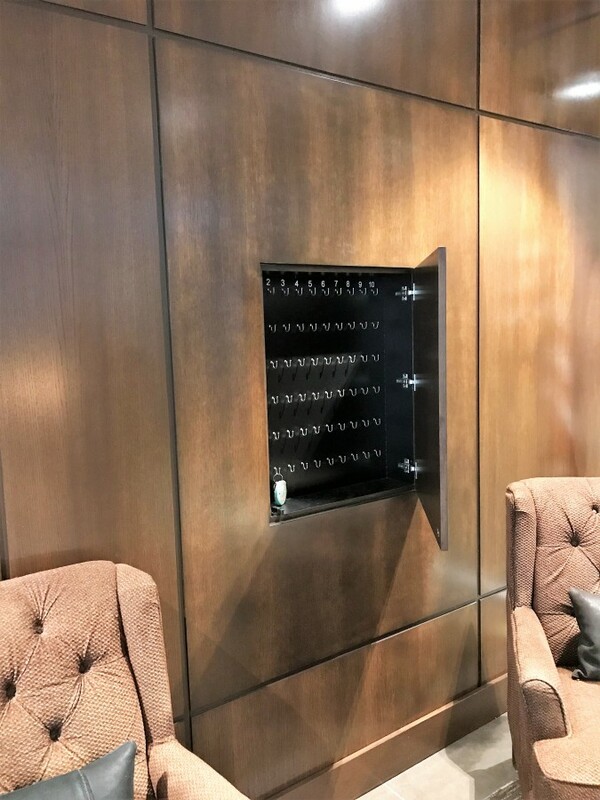 In the Minnehaha Prime dining room you’ll find a small room with private wine lockers. 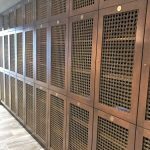 The 3 tier lockers of stained rift cut oak with door fronts that have “brass finish” banker wire. 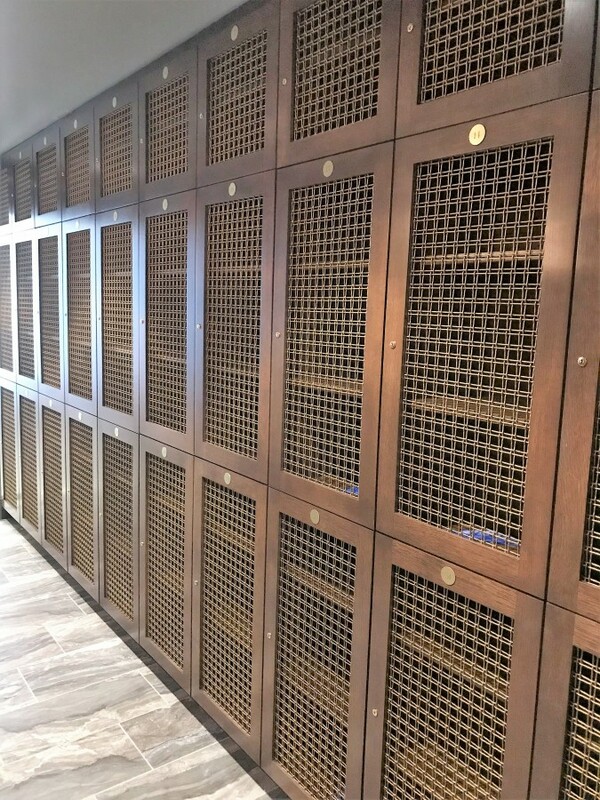 Lockers are numbered with a key locking system. 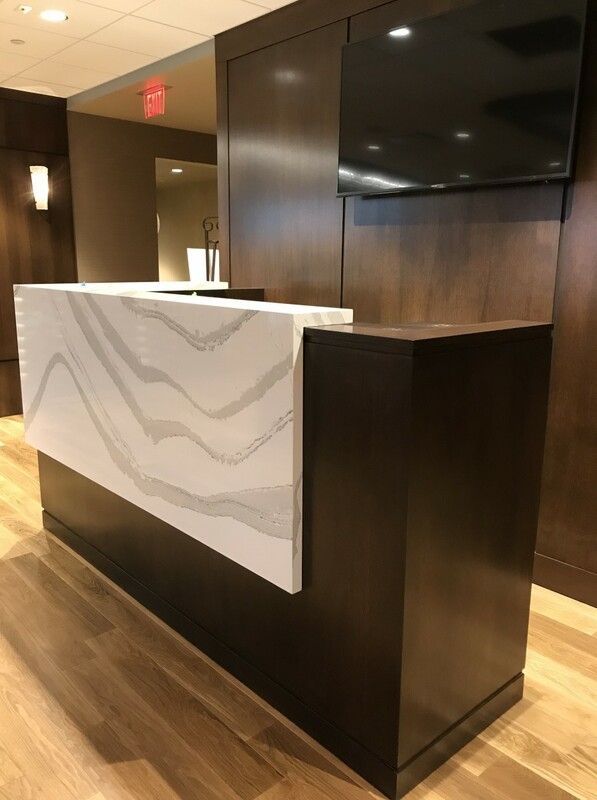 A hostess stand of rift cut oak features an upper countertop and apron hood/face of 2cm Cambria Brittanicca with 4cm Cambria on the lower countertop area. 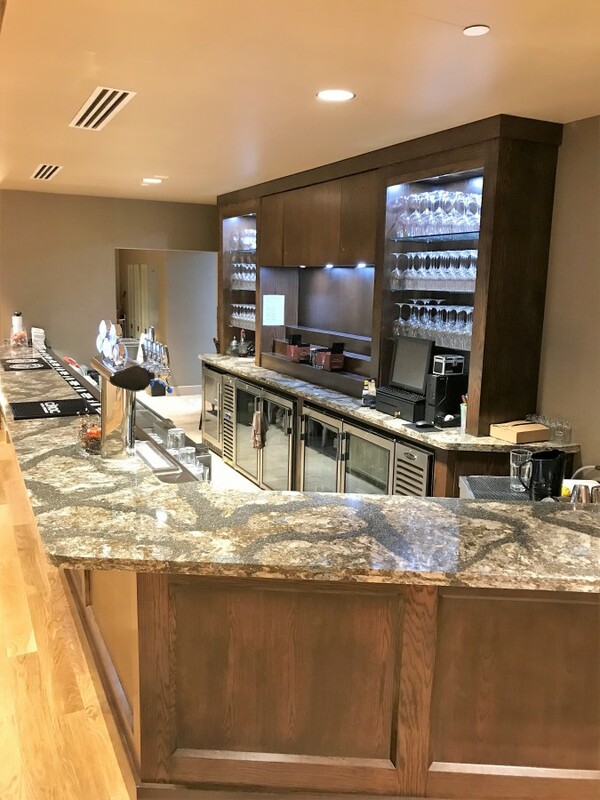 Move to the main Langford Lounge (members lounge) where you’ll find a 20′ x 13.5′ horseshoe shape bar and soffit with seating all around. 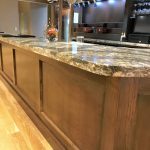 The bar and soffit both finished in rift cut oak. 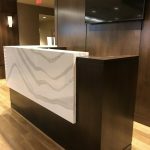 Soffit showcases insets of solid surface Staron “Ocean View” and backlit with white LEDs; and includes eight TV monitors. 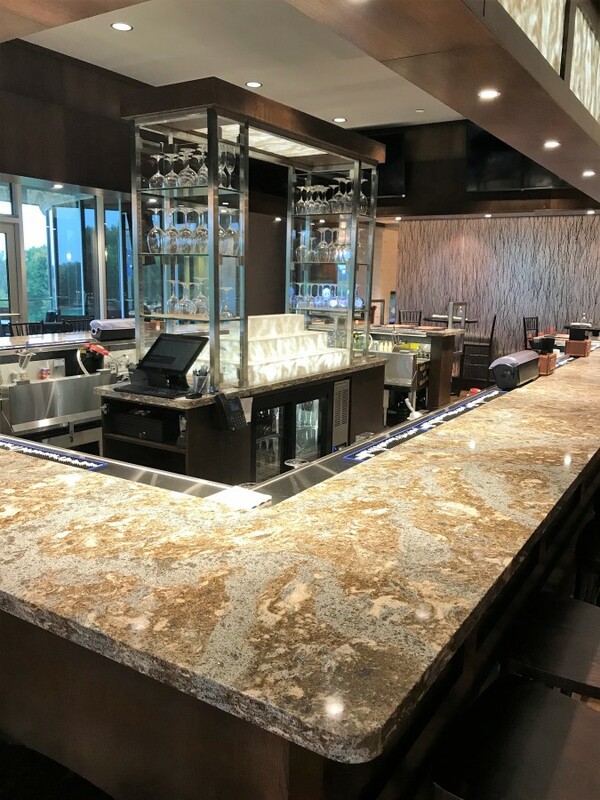 For the bar countertop we used 4cm Cambria Helmsley with a stainless steel drink rail and LED lighting undercounter. 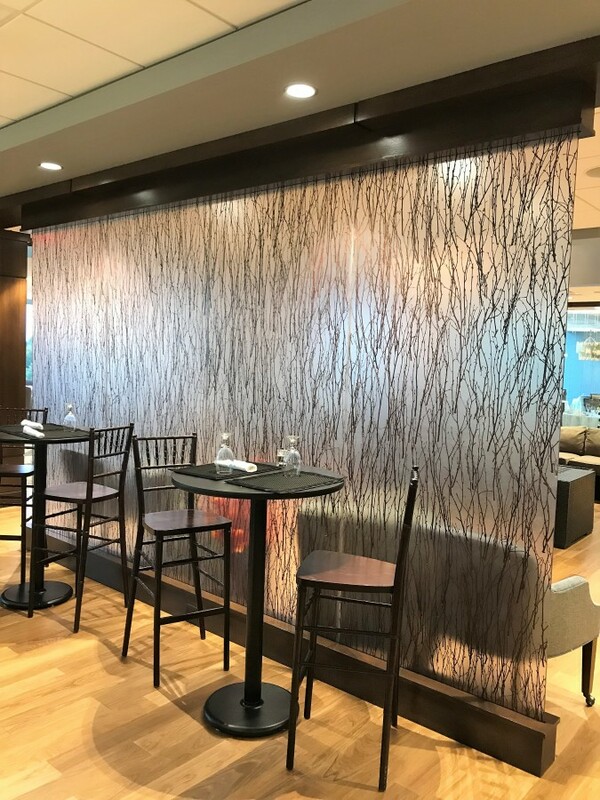 Member side offers a brushed stainless steel footrail. 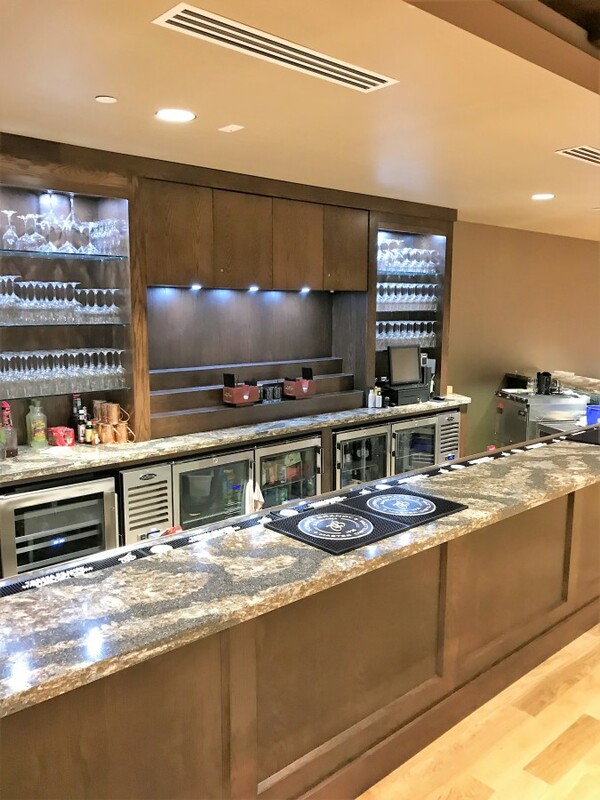 Behind the main bar is an 8′ x 2.5′ island with soffit and downlighting. 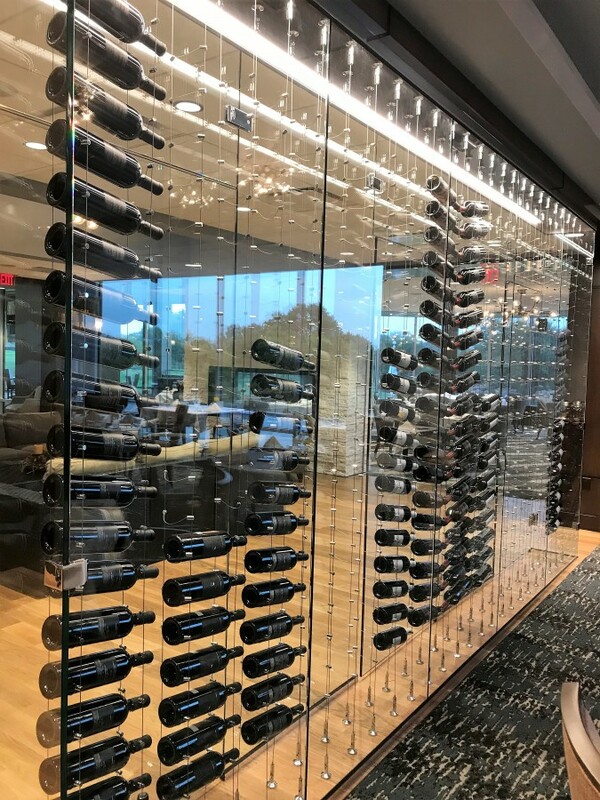 A glass cabinet on each end is made using brushed stainless tube with adjustable tempered glass shelving. 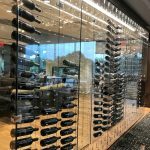 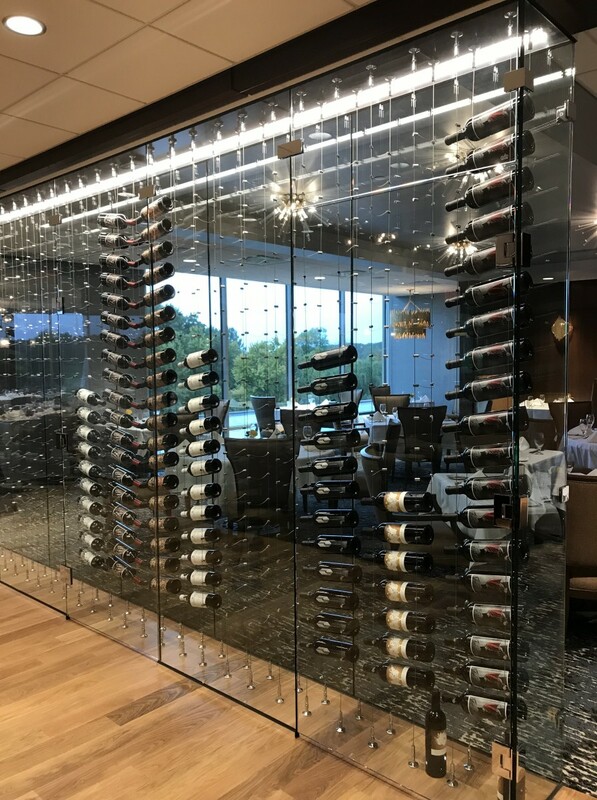 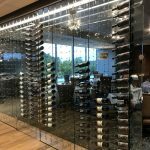 The 3 tier bottle rack is made using 1/2″ clear acrylic, then covered with solid surface Staron “Ocean View” and backlit with LEDs. 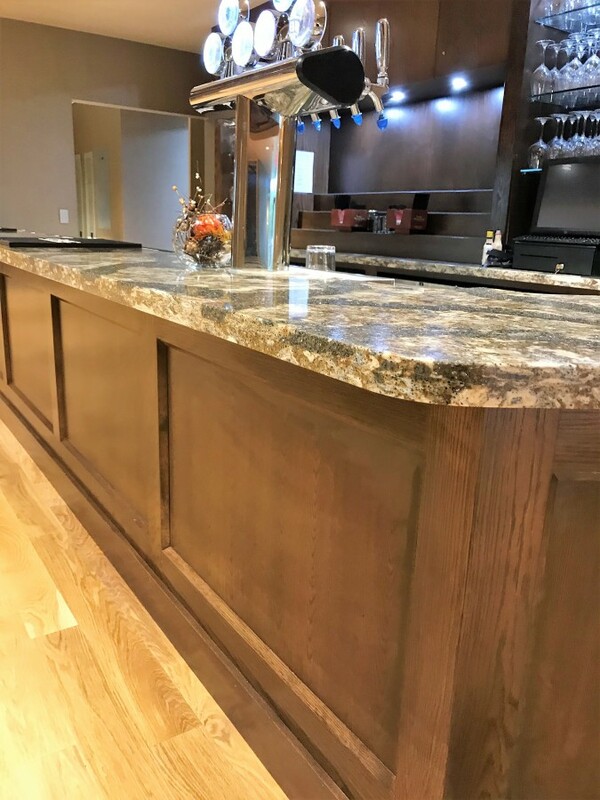 In the banquet room is a 32′ bar featuring the same custom country club cabinetry finishes as our member bar. 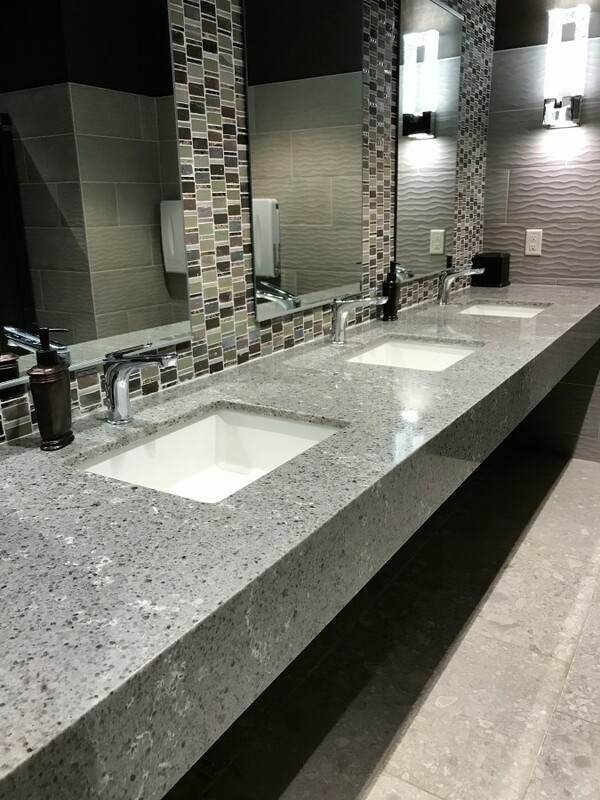 In the restrooms there are wet and dry vanities all constructed using Cambria quartz. 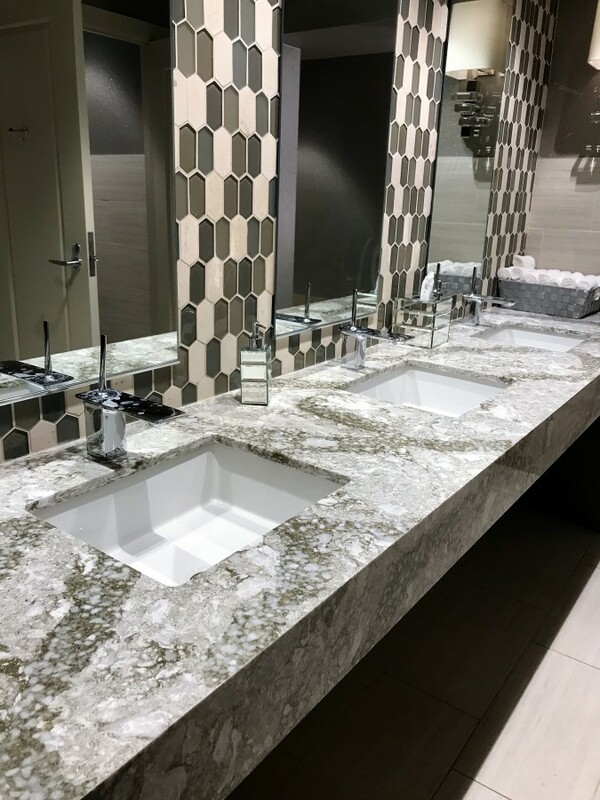 In the women’s the countertop and apron showcase Cambria Beaumont; in the men’s restroom is Cambria Levvon. 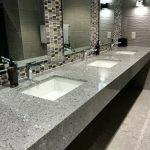 The banquet facility has two restrooms as well showcasing Cambria Darlington and Cambria Castell.